One of the key issues with the plan was the loss of the allocation for 2400 houses at the former MOD site in Ashchurch. The Inspector went on to find a number of deficiencies in relation to soundness and/or legal compliance with the submitted version of the plan, however, the Councils requested that the Inspector recommend main modifications to make the Plan sound and/or legally compliant and capable of adoption. 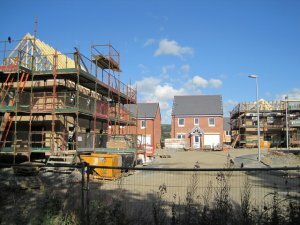 The Inspector concluded that with the recommended main modifications (which had already been the subject of public consultation by the councils) the JCS satisfies the requirements of Section 20(5) of the 2004 Act and meets the criteria for soundness in the National Planning Policy Framework. After 10 years in the making, the Main Modification version of the JCS has been found sound, and subject to agreement from all three councils seems likely to be adopted in its ‘Main Modification’ form. However, it will have to be subject to immediate review. It will be interesting to see how quickly the review takes shape particularly in the light of the Government’s suggested new method of assessing housing need which, as currently drafted, would see higher yearly requirements for Tewkesbury Borough in-particular. We will be informing all clients that have an interest in the JCS on any implications arising from the Final Report shortly. Please contact us if you would like to discuss anything immediately.